Out of this world and will have you tasting fall! 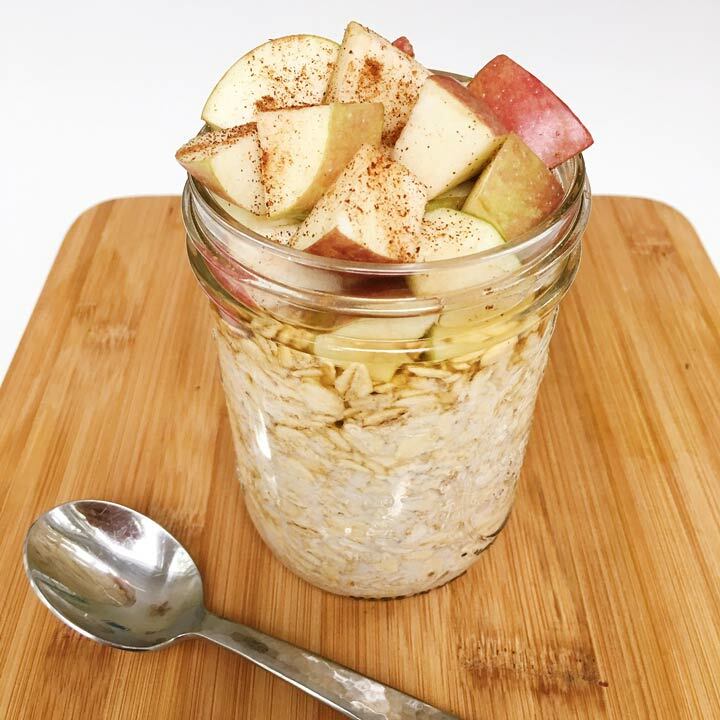 These Apple Cinnamon Overnight Oats are out of this world and will have you tasting fall! My son and I both loved it and are hooked on overnight oats. There are endless options for toppings and we can’t wait to try more! Inspiration from Jar of Lemons, it couldn’t be easier. We placed gluten-free oats in a jar, covered them with unsweetened coconut milk and left them refrigerated overnight. In the morning, we topped them with a touch of maple syrup, apple and cinnamon. That’s it!